Microformatting another way of getting better listings. We all know that local search marketing is all the rage because the global community is looking more to their local area than ever before – and if you don’t then get researching. Google of all the search engines is responding in a big way by changing the way search results are displayed. If your apparent intent is a search for a local provider (by using postcode or place name) then they will show integrated local results. These results are outranking and being mixed in with natural search results. The result are natural looking listing that have more items like location markers and stars from review ratings that draw the users’ eye to those listings. For local businesses and directories the way to win here is to code your website with microformatted to allow much better information updating in Google search results. If your businesses that provide reviews of local businesses, microformatting these reviews can provide a good gain traffic from local searchers. If you want to know how to microformat your website successfully then please get in touch with Community Connections and we can really help to get things kick started for great results. 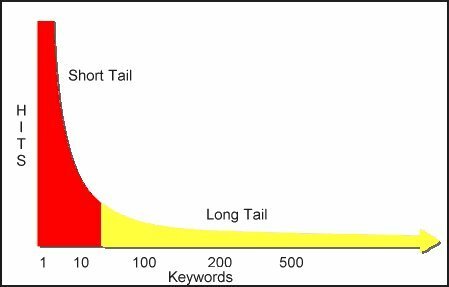 The Long Tail is getting the fine detail of your website into search engines. So instead of targeting just 10 keywords and phrases you decide to target 200 tapping into the granularity of your website. This is the fastest way of building quality traffic to your website. Design a hierarchy and strategy. Ensuring that when a user hits your site they find information that is relevant. Ensure that the user can move on into your site to find more information. Community Connections has been using these techniques with a client in Cambridge. In three months they have trebled the visitors from 15,000 to 60,000 and increase the number of keywords used to find their site from 9,000 to 26,000. Having convinced the client that is does really work they are now investing in a website redesign which we have estimated to push their traffic to 100,000 a month. Take a looks at your site and think about how it was designed and wonder if it could have been different. Community Connections can help you grow and change it. Think about how Google uses synonyms when deciding on keywords. This means that you may be using unnecessary keywords on your site to optimise it. This works both ways – do not take it for granted that certain words are automatically included (especially plurals) and many terms can be ambiguous. For some idea on how Google is behaving use http://www.synonymlab.com/ to find out how Google is using synonyms with your keywords. If you require more in depth help with keyword usage and placement please see Community Connections. Can you Over Optimize your website? Can you Over Optimize your website? – Yes! Keyword density on your web pages is key to search engine success. Where you place your keywords and how you implement them is equally as important. But you can do what they call keyword stuffing which has nothing to do with turkeys and Christmas. To ensure the right success of all the pages on your website you should analyse how often you are using target keywords. Over use of keywords can compromise your search engine position. Recommended keyword density is from 3% to 7%, anything above this can start to look like keyword stuffing this will not go unnoticed by search engine. Use tools like http://webconfs.com/keyword-density-checker.php to analyse you site. Recent work by Community Connections has come up with surprising results – try it for yourself put your site in and some competitors. All businesses should have short and long term goals for business success. This planning process needs to be reflected in the planning of the organization’s website. What does the organization expect to achieve with the website? What are the website goals? These questions are so often overlooked in planning for the website. The days of only having an online presence are over, website business planning has to be integrated into overall business planning. It is important to any successful business to correct this mistake to and set website goals to affect the bottom line and justify your investment. Organic search engine results can play a direct role in whether or not a paid listing is clicked. Research shows that if your business has both a paid result and an organic result appear at the same time, you have a better chance of your paid result getting clicked than if the organic result had not appeared. On average, the impact of organic listings on paid advertising is 3.5 times stronger than vice-versa, possibly because of the tendency of consumers to trust organic listings more than paid ads. There is a positive association between paid and organic listings increaseing advertisers profits by at least 6%. The positive association is strongest when advertiser-specific keywords are used and weakest when brand-specific and generic keywords are used. Click-through rates, conversion rates and total revenues are higher when both paid and organic listings are present simultaneously than when paid search ads are absent. Click-through rates are 5% higher when paid and organic listings are present simultaneously than when only the organic listings are present. Conversion rate increases 12% when paid and organic listings are present simultaneously than when organic listings alone are present. As a whole, on Google, paid search advertising drives up to 54% of total revenue growth for businesses. So what is the answer? Businesses need to pay a lot more attention their keyword strategies when implementing a on line strategy. Community Connections can help design and implement this for you. Keyword Density This is the number of times a certain word appears on your web page. It is important that your chosen keywords are repeated enough times to show its importance. See how Community Connections keyword density does. Checkout your website -see what your keyword density is.